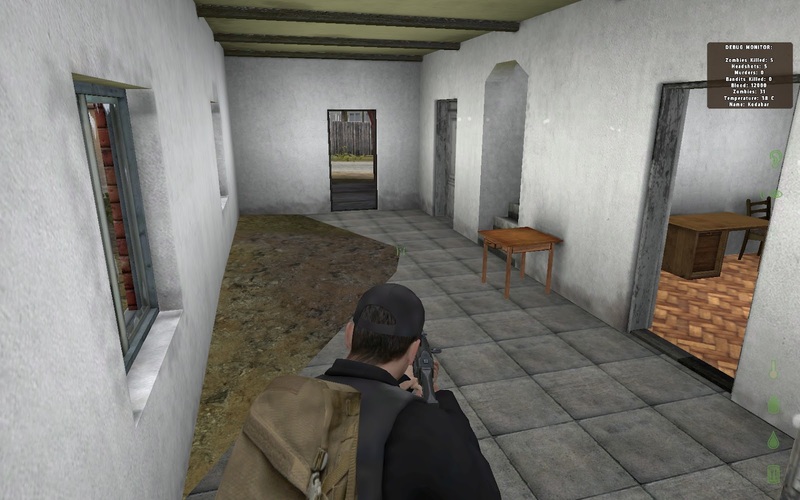 A lot of people ask me about the difference in graphics between using ArmA 2 Free and ArmA 2 (full) and it's hard to persuade people that there really isn't much difference. So I've taken some screenshots of the different versions in order to show the difference. Now before I start, I should show you what my graphics settings are. I keep mine fairly low in order to keep a good framerate even on a dodgy server in the most heavily-populated, dense urban environments. Now on to the screenshots. Note that I went out of my way to find the most stark examples that I could. For the most part, the differences aren't that marked. 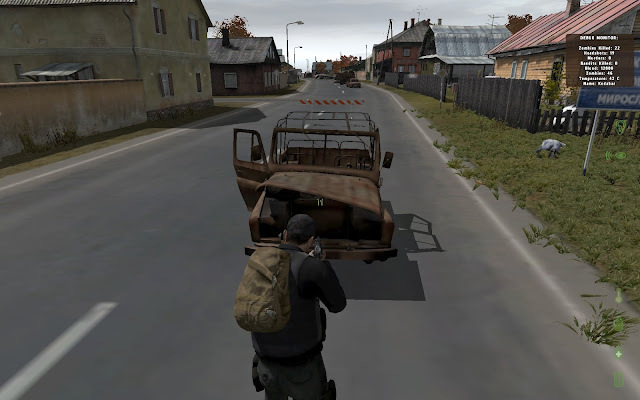 DayZ uses Operation Arrowhead for its game engine and most of its graphics, models and textures. ArmA 2 is mostly used for the level map (Chernarus) and a few models and textures. You can click each screenshot to see it at full size. Building textures look the same, roads look slightly better, wrecked (decorative) vehicles have better textures. Inside a red brick building. Wall textures slightly improved, debris texture much better, some (but not all) furniture has slightly better textures and the floor is a little nicer. Another interior from a red brick building. Wallpaper and door textures are much better, furniture and ceiling a bit better, outdoors largely unchanged. Inside a log cabin. Floor debris much better, furniture and fittings better, pictures on the wall oddly unchanged. Vegetation and barrier unaltered, road slightly better. So there you have it. That's the difference between ArmA 2 Free and full. Most of the time you're going to be running through trees and undergrowth and won't see a bit of difference. The most obvious variance comes with the interiors of certain buildings and you're probably not going to be hanging around long enough to be admiring the décor. The Addons folder from ArmA 2 Free is 1.54GB and the same folder from ArmA 2 (full) is 8.21GB. So that's six and a half gigabytes of extra disk space and fifteen pounds/dollars/euros of extra expense. Is it worth it? The free version looks HORRENDOUS compared to the pay version - judging by your screenshots. If all you have to pay is 15ukp to get Arrowhead then you SHOULD do it ! I paid 80 ukp back in the day for the double pack on DVD, so today's prices are a real bargain. Plus Arma 2 is a fantastic, fantastic SP game. I looked for the worst examples possible to show up the difference as dramatically as possible. Seeing as you spend 90% of your time running through trees (where there is no difference in the graphics) it doesn't matter that much. Hey there kodabar, great guide it worked perfectly. I have a slight problem now though. The low res textures from ArmA II free bugged me a bit, so i thought "screw it" and bought the full version on steam. Copy the "Addons" folder from inside your Arma 2 folder into the Operation Arrowhead folder. It is a little on the large side (8GB+), so you might be better off making a symbolic link if you're short of disk space. Symbolic links are a little tricky if you're not familiar with the command line, so I'll not go into detail. If you know how to do it already, then you're fine to handle it. Anyway - thanks for the guide, the best one on the net so far. Do you know of anyone that has a download for the Arma2 Full Addon folder? Has steam stopped handing out arma 2 free because it doesn't have it's own Page now and it isn't giving keys for it now. Blimey, it does indeed seem like Steam has removed ArmA 2 Free. I know they keep running out of CD keys for it which has proven problematic, but I didn't think they'd just take it down altogether. Thanks for the heads-up on this, I'll keep monitoring Steam to see what they're up to. Heck, I'll even write to them (but I don't expect a reply). so if i get arma II free and THEN buy the Operation Arrowhead addon i still have the "bad" resolution or do i get the better one like from the arma II full? Note that Operation Arrowhead isn't an addon. Although it is an expansion of ArmA 2, it's actually a standalone game that doesn't require ArmA 2 (or anything else) in order to play. 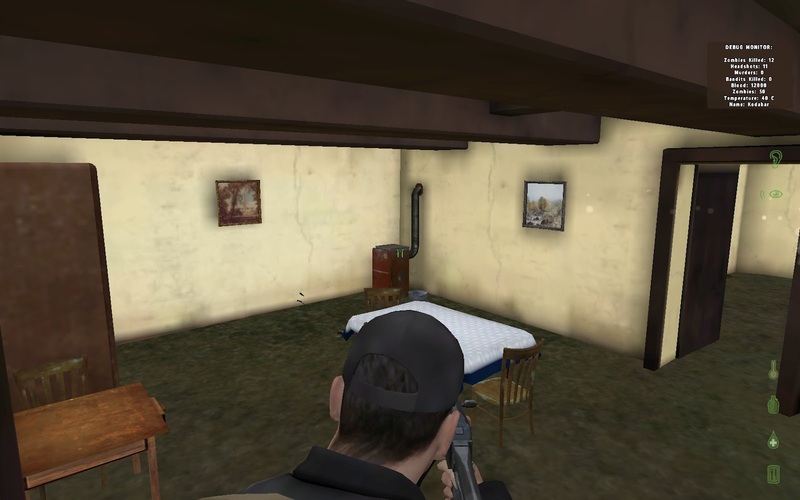 The game engine in OA is a more advanced version of the one used in ArmA 2. 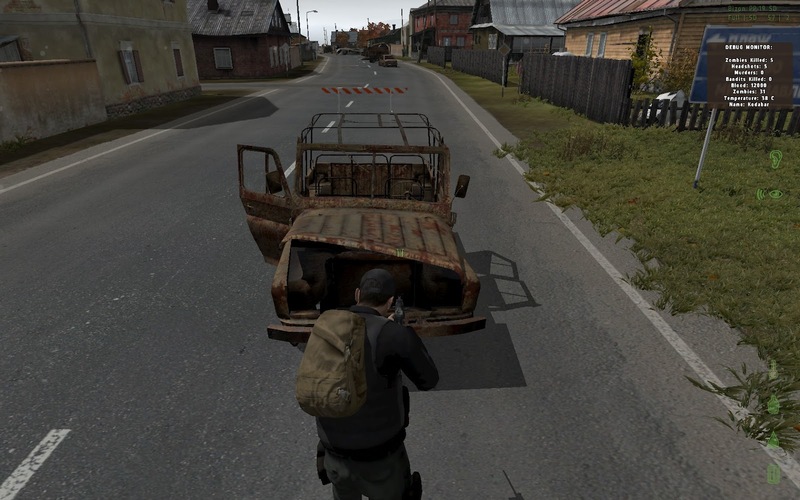 DayZ uses the game engine from Operation Arrowhead and takes a lot of its objects and textures from there. But it takes the game map (Chernarus) from ArmA 2 (full or free) and some of the object textures as well. Some further textures and objects are taken from Private Military Company and British Armed Forces, two DLC packs for OA - but OA ships with 'lite' versions of PMC and BAF. Confusing, eh? To get the absolute best textures, you need ArmA 2 (full), Operation Arrowhead and the PMC and BAF DLC packs. Sadly, Operation Arrowhead does not replace the lower resolution ArmA 2 Free textures. 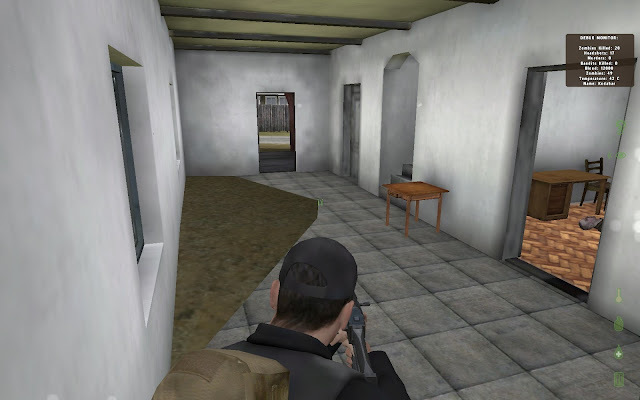 The cheapest way to play is to use ArmA 2 Free and Operation Arrowhead. 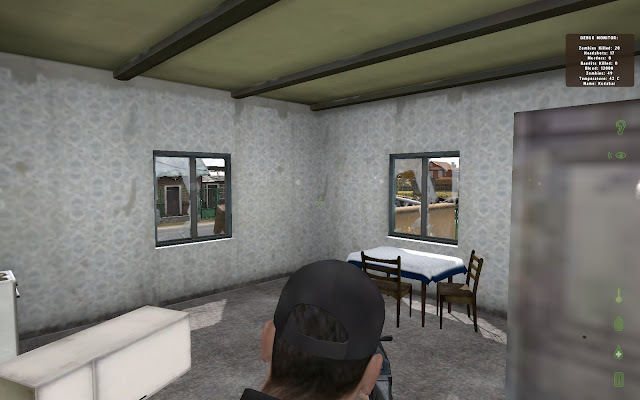 Using ArmA 2 (full) and Operation Arrowhead will get you 95% of the highest resolution textures. Anniversary Edition is the cheapest way of getting 100% of the highest resolution textures. Having said all that, DayZ pretty much only uses the BAF and PMC textures for a couple of things. For example, the camouflage clothing set you can find. If anything, this puts you at a disadvantage as other players with this clothing are harder to spot if you have the better textures. However, as you only need the Addons folder from ArmA 2 (Free or full), it is possible to copy that over from an existing installation (which might, ahem, belong to someone else) in order to play with almost the best graphics at the cheapest possible price. Have I confused the hell out of you now? but however, that answered my question in a very detailed way,thank you. So i can handle some bad textures at ArmA II itself, if the day comes where i want play the game. That is a very kind offer from you and i think i will use it, thank you. Once again, thanks for the fast and excellent Support! Is it possible to download the Arma 2 iso, then install and copy that Addons folder to OA? It doesn't make much difference in the game at all. Most of time you're running around in trees and grass and there's no difference there. Even with the 'higher' textures, I'm not exactly running around marvelling at the slightly higher resolution of the frigging wallpaper inside a building - I'm a bit too busy staying alive to pay any attention to that kind of stuff. You can modify the textures yourself, but you'll struggle to find any server to play on. The servers all have keys relating to each file and if your files don't match it won't let you join. About the only way you could do it would be to use the single player mod that we've got (link below) and play around offline or find a server that doesn't check file keys (and I don't know if there are any of them these days). There was a bit of a problem early on in DayZ's lifespan where people were playing with deliberately low graphics settings, removing things like grass, etc to give them an advantage over other players. These days, the servers all enforce a certain level of graphics settings to prevent it from happening (it's why you don't see any difference when adjusting graphics settings when in an online game). 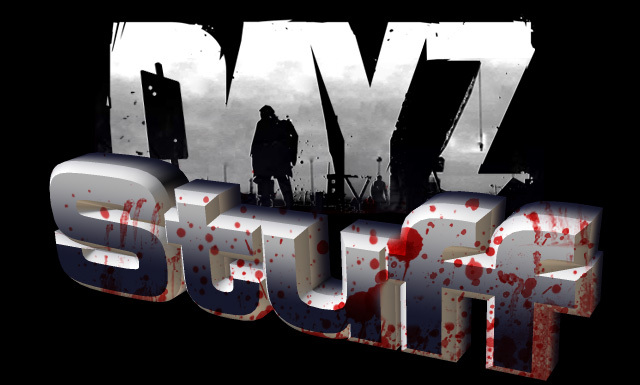 The ArmA games have always been very trusting of the players, allowing them to control most aspects of the game (it's why hacking is so easy), but DayZ has sadly brought to the game series a lot of twats who want to muck about and cheat. So the freedom to customise and modify the game has been curtailed as much as possible to prevent these bad-minded players from screwing things up for everyone. If you are interested in our single player version, we have forums where there are a group of people who further modify the game and add in new features and things like that. They may well be interested in a chap who would like to modify the graphics. Is it possible to play DayZ if I buy Arma 2: OA, and already have Arma 2 but not legit (fake cd key)? So yea, legit OA and fake Arma 2. Yeah, it is. In fact, I (unofficially) recommend it. All you need from ArmA 2 is the Addons folder. You don't even really need ArmA 2 installed, just that Addons folder. When you join a DayZ server, it calculates a GUID (which it uses to track your progress) from the Operation Arrowhead serial number. It never goes near your ArmA 2 serial, so you just don't need it. Right click on the Addons folder itself and copy it. Then go into your Operation Arrowhead program folder and paste it there. 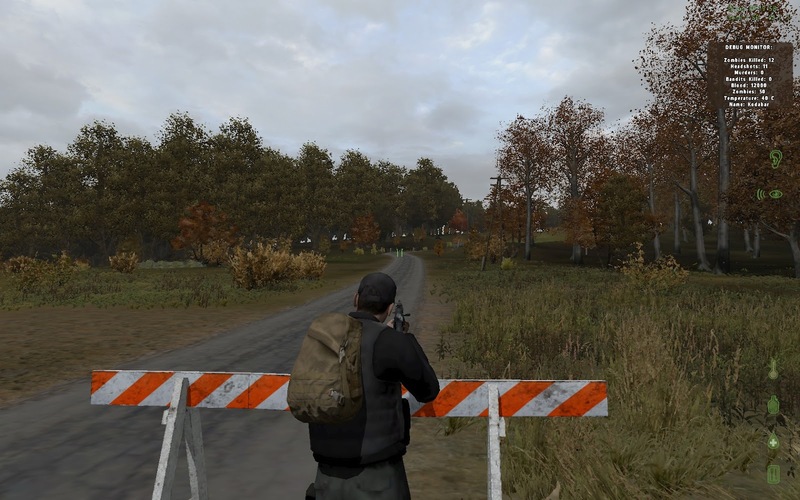 I know this post hasn't been commented on for over a year, but I am obsessed with Dayz mod and I really want to buy it but for as cheap as possible. I haven't bought it yet because I've been waiting for it to go on sale. I have arma 2 free and I got it after it was off the steam store. I pasted something in my web browser and it started up steam and started downloading. 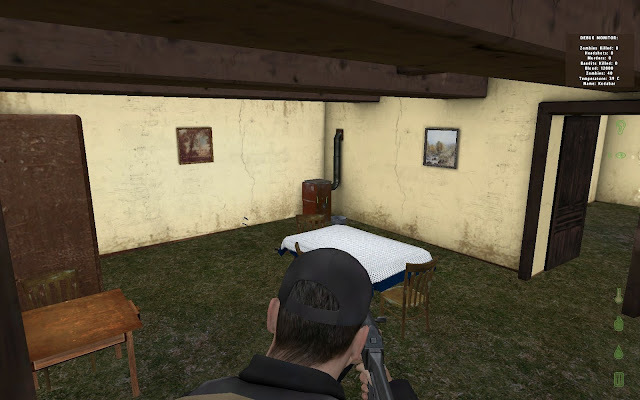 I found the arma 2 addon files online. Im guessing I can download that and drag it to the operation arrowhead addons. 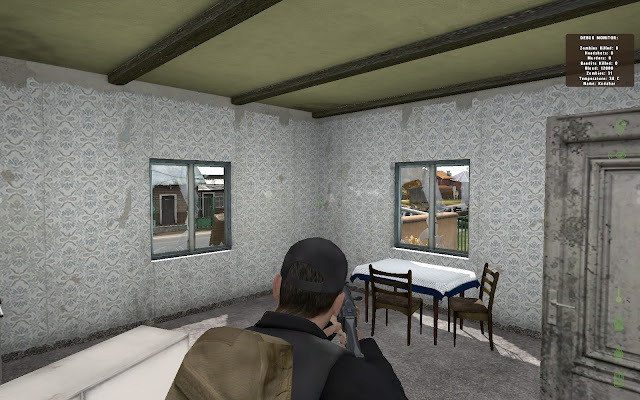 I did that in Garry's mod for the CS: Source textures and I am 1. wondering if you do the same thing for this and 2. can you also get the british armed forces and the other stuff needed for 100% textures online. That's about it. Im hoping someone can reply to me. Not really a rush because I won't me buying it probably in the next 12 dayz* (If it goes on sale for black friday which I don't have much hope for but hey, it might!) *I've had the Dayz-craving disease for a few weeks now. It does stuff to you. Well bye I guess, I hope I spit out all my questions. I can't even download the dayz arrowhead so frustrated!!! >O >O >O >O. Please I really need this game if anyone knows how to get the stuff I need please link me. Please I need your help!! okay I know what I need your help with which is, the arma2 free, the 2 arrowheads, you know what if you could just give me all the links that could help me that would be very appreciated, please and thank you.